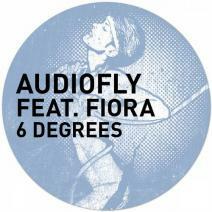 Last time I reviewed Audiofly`s last single as it was remixed by Martin Buttrich and Guti (you can find it here) and I thought to shed some light upon the previous EP, containing the original mix and 2 interesting remixes. Even if it appears to be a tech-house track, don`t be fooled. It`s so original that it does not fit in a genre. You think also of electro when hearing the keys, of deep-house when feeling the vibe, and of pop when listening to the dreamy and hypnotic vocals of Fiora. I only imagine the chill you can get when listening to this in a dark room (can`t wait :D). The Booka Shade gets rid of the vocals, maintaining some small parts at the end, and in the rest adding some more electronic sounds for which Walter and Arno are known (and loved). The Tale of Us remix is closer to the original, getting rid of some echo sounds and using slightly more percussion, and thus moving the song a bit more in the realm of tech-house. Summing up, a haunting and wonderful track from Audiofly. Way to go!! !